NUTS 4th Edition and Compendium Now On Sale! 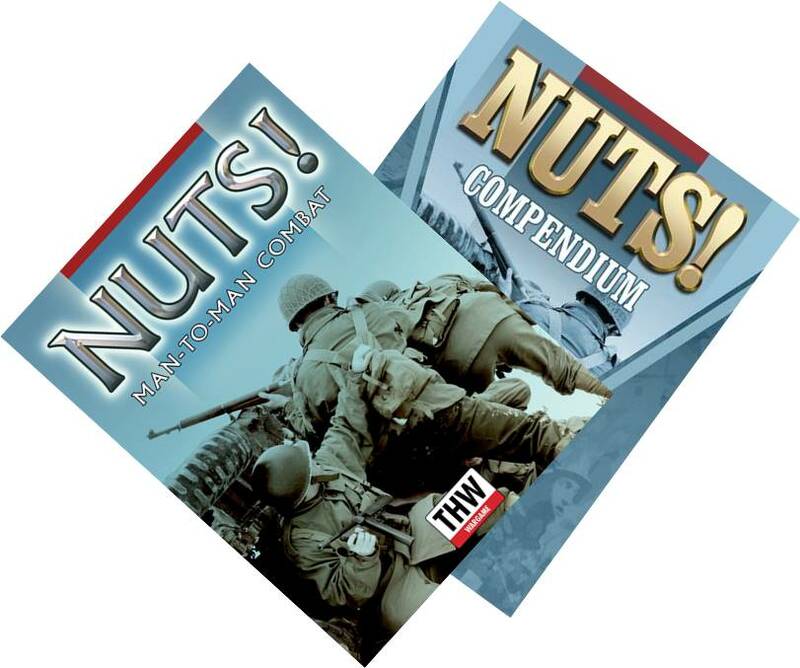 The NUTS Compendium - the perfect compliment to NUTS. With NUTS and NUTS Compendium you can play any battle in WWII from anywhere and any time. Before Chain Reaction there was...Guns & Girls?! Yep, back in 2002 the second set of rules we came out with was called Guns & Girls. The cover caused quite the stir back then. So much that I produced a replacement book called...Chain Reaction. New cover was a target with bullet holes and blood. That was okay. YOU can download a free copy of it here. Great to see how the mechanics have evolved over 15 years...holy %$#*! 15 years! Did you buy NUTS Final Version this year? Well if you bought it through the THW website or RPGNow/Wargames Vault, we'll give you a free replacement of the new one coming out later this month. NUTS Compendium - What is it? The NUTS Compendium contains a series of rules that can enhance and customize your NUTS games and campaigns, allowing you to run scenarios from the blazing hot deserts of North Africa to the frozen steppes of Russia. We’ve gathered the rules from all the supplements and scenario books and brought them together in one place. These are all optional rules; you do not need this book to play NUTS. However, you must have the core NUTS game in order to use this book and a familiarity with the basic mechanics of those rules. The rules in this book loosely follow the same organizational style as the NUTS rulebook. How do you like your games? I like mine with a smaller number of figures and on a personal level. Personal level; what does that mean? Let me explain. Each game I use the same figures for my squad and label them alphabetically. Now here’s where it gets personal. I make the Leader, the Star, me. Then I name each of the individual figures – squad members – after my high school or college chums. Now the guy on point isn’t some non-descript figure, it’s Jerome. Now the figure going Out of the Fight or worse is one of my old friends. This puts my games into a different perspective and makes me think twice before sending them across an open field to face an MG 42. Now that my games are personal, it’s more about the Story. About the exploits of me and my friends and that’s where NUTS Compendium really shines. By picking and choosing what rules to use with NUTS I can make the Story, my Story, as detailed as I want. I can even back off on using some of the rules when I want then add them back in at a later date. Why; because it’s my game. What will your games be like? Latest Updated Edition of NUTS Releasing This Month. Huh? "You mean NUTS Compendium, right?" Not exactly. 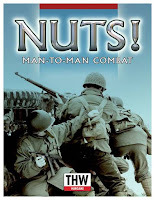 After finishing off Compendium, the book that takes all the rules from all the NUTS supplements putting them into one book, we realized that NUTS could use an update. There's been 30+ titles written since the lat version of NUTS and the newer streamlined mechanics in them were screaming to be added to NUTS. 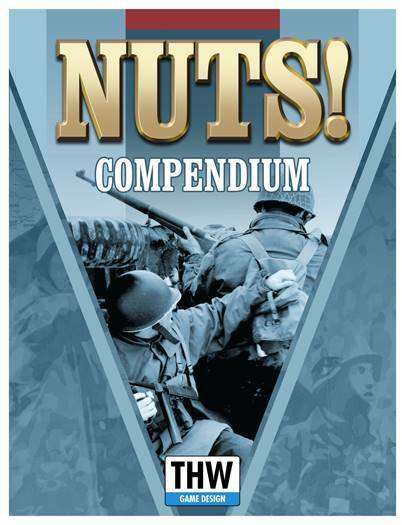 So the latest updated version of NUTS will be coming out at the same time as the NUTS Compendium. Everything you'll need will be in the two books allowing you to play any time, any where in WWII. Watch for the release later this month. Want a sneak peek? Here's the TOC for Compendium. Here's more about the Compendium.